How to make Danish Pastry – useful for all sorts of treats! Okay so this is the cheats way to Danish Pastry – quite frankly the thought of pounding and wrestling a whole block of butter into pastry is not my idea of fun. Trust me this way will give you fantastic Danish Pastries. 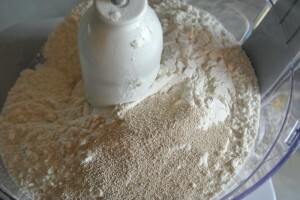 Place the flour, sugar and dried yeast into the bowl of a food processor and give it a quick blitz to mix evenly. 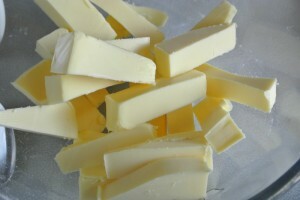 Take the cold butter and chop the whole lot into long thin sticks. 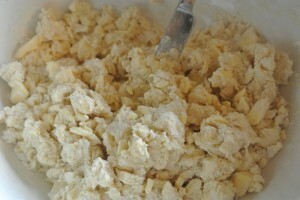 Into the bowl of the processor and blitz again, just until the butter is broken up into pebbly chunks. Now tip this into a large mixing bowl. 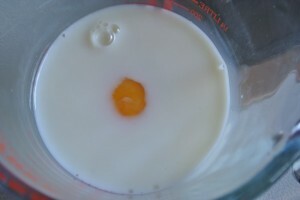 Measure the milk and water into a jug and add the egg. 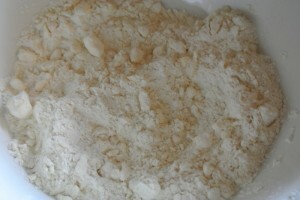 Make a well in the centre of dry mixture and pour it in. 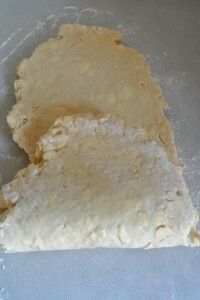 Using a table knife work the dough together. 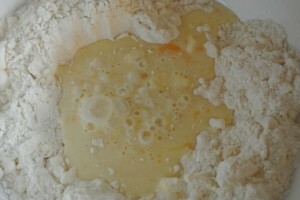 It will be pebbled with chunks of butter and fairly sticky at this stage too – worry not! 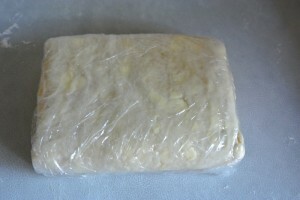 Gather it into a ball, wrap in clingfilm and now it needs to go into the fridge for 4 hours, or overnight. Now for the rolling and folding! 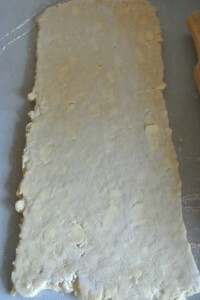 Unwrap the pastry and flour your worksurface. Fold the bottom third up and then the top third down like a bit of an envelope. 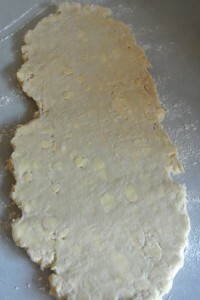 Turn the pastry around so that the folds are now left and right, and roll it out again. 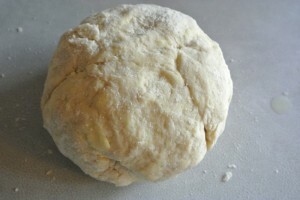 Keep patting flour on the top surface if any pebbles of butter are sticking to the rolling pin. 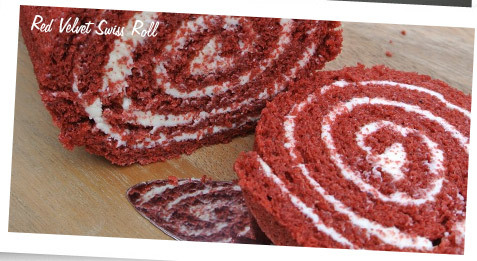 It can get quite tough going, if you’re struggling to roll it pop it back in the fridge for 10 minutes to rest before commencing the rolling again. You need to roll out and fold a total of 4 times, each time turning the folded pastry so that the folds sit left and right before rolling again. That’s it Danish Pastry done – you can use it right away, keep it in the fridge for 3 days or whizz it straight in the freezer for using another time. When it comes to using, split the block of pastry in half and roll out on a lightly floured surface and you’re good to go! This entry was posted in How To, Pastry, Twelve Days of Christmas. Bookmark the permalink. I saw the GBBO Masterclass of how to make all the Danish shapes….I feel a Pink Whisk challenge coming on. Thanks again Ruth, I love your website. What a useful recipe. Thankyou. Great – I used one of your recipes today to make Christmas cookies. Ooh lovely – vouchers for your shop. I must try your “rough” Danish too!!! Will run out of time to try all of these! I wonder if I can make this gluten free!!! You are too clever Ruth, I keep wanting to make everything! Must give this a whirl. I must, must, must try this. Never made Danish pastry before but will definitely give it a go. Not a combination that I would have thought of, but will defo give it a try. This is one that I am definately going to try. They sound scrummy delicious certainly like the twist of chocolate mincemeat. Oh boy,just by reading these lovely recipes I feel like I’ve put on weight & it’s not even Christmas yet!!! Not sure of the combination with chocolate, but amgoing to try danihsh pastry sometime! 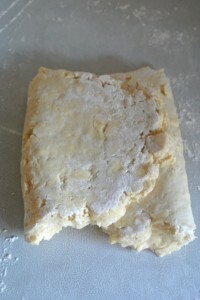 I honestly thought making this pastry would be so much more difficult than this! Adding it to my list of things to try. Sounds interesting a chocolate version! These could be UNBEARABLY good. Thank you for such fab inspiration at this magical time of year. Not my thing but tempted to give it a try!! 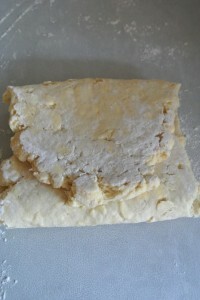 Would be interisting to have a few recipes where we can use danish pastry. again you make something that sounds so tricky look so easy! Your instructions and pictures are always so clear. Thank you. so great to see step by step pictures – really useful when you’re trying something new – thanks! Very clever 🙂 thanks for the recipe. Mincemeat…yummy add chocolate = big smilely face! OK – need to stop looking at all these recipes otherwise 1) will never have time for anything else or 2) am going to get very fat!!! That sounds great – thanks for the recipe! I can’t even tell you how much I love danish pastry. I made it years ago and it was so wonderful. I need to make it again. Thanks for the inspiration.